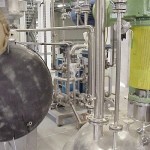 Reactors and/or dryers of pharma & chemical industry. 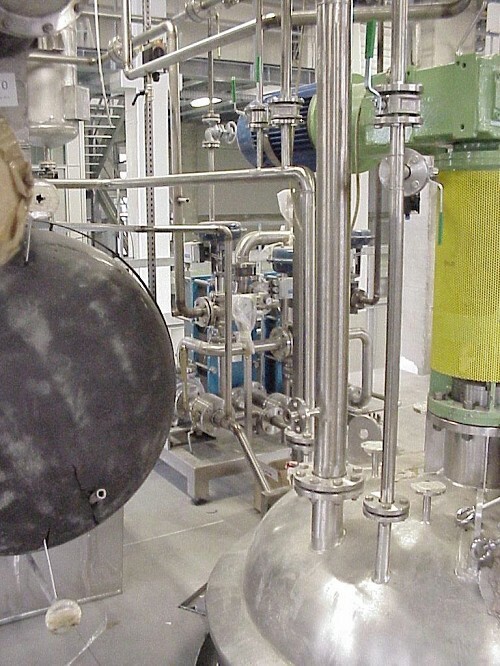 Vacuum evaporation-concentration-crystallization units. Plates pre-condenser, welded or brazed or with gaskets. Other types on request. Plates AISI 316. Vacuum unit with liquid ring vacuum pump in closed cycle or dry pump. Standard material. Piping, valves (control,on-off, safety, manual) and ancillaries AISI 316 L process side.